This unit contains reports about auto parts and accessories from suppliers in the Greater China area, informing buyers about the huge variety of products they offer: conventional parts, performance-tuning parts, manufacturing equipment, auto body parts, electrical parts, and repair tools. Users can order the products they need immediately by using this APP, or browse for more information by connecting directly to suppliers’ websites. Hwang Yu Automobile Parts Co., Ltd.
Ball Joints, Tie Rod Ends, Rack Ends, Center Links, and Control Arms, Side Rod Assy, Brake Calipers, Etc. Founded in 1972, Hwang Yu Automobile Parts Co., Ltd. is a TS16949- and ISO 140001-certified company specializing in development and production of high-quality aftermarket (AM) automotive steering, suspension and brake components, with over 40 years of manufacturing experience. Eagle Eyes Traffic Ind. Co., Ltd. Founded in 1978 and engaged in development and production of high-quality automotive lamps, Eagle Eyes Traffic Ind. Co., Ltd. supplies a comprehensive range of products, including headlamps, tail lamps, corner lamps, side lamps, bumper lamps, fog lamps, center high-mounted stop lamps, and LED daytime running lamps (DRL), widely reputed as a veteran, specialized manufacturer of this kind in Taiwan. 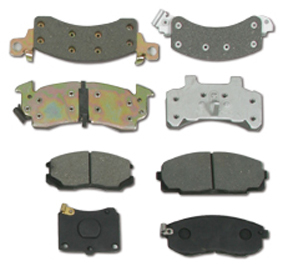 Lih Dah Brake Lining Industrial Co., Ltd.
Lih Dah Brake Lining Industrial Co. was founded back in 1973 and has developed into an ISO 9001-approved, and ISO 14001- and TS16949-pending company specializing in the development and production of braking system parts for a variety of vehicles and machines. Shock absorber accessories, control arms, center bearing supports, etc. Founded in 1989, A-One Parts Co., Ltd. is a specialized manufacturer of automotive suspension parts including shock absorber accessories, control arms, center bearing supports, steering parts, steering gear assemblies, and steering coupling and joints. Long Tai Yu Co., Ltd.
Control arm bushings, transmission/shock absorber boots, brake linings etc. A developer and trader of automotive parts and accessories, Long Tai Yu provides trustworthy service, top-quality products and professionalism to win extensive customer satisfaction. Besides trying to develop innovative auto parts, the company supplies a series of auto parts, including control arm bushings, transmission boots, shock absorber boots, brake linings, sway bar links, windshield wipers, shock absorbers etc. Established in 1975, the ISO 9001:2008-certified Meggis Enterprise Co. , Ltd. is one of Taiwan's top manufacturers and exporters of a wide range of parts and accessories for automotive and marine applications. With the backing of its strong in-house R&D team, the firm has successfully tapped the international market for automotive and marine electrical parts. Chuan Jieen Enterprise Co., Ltd. Founded in 1987, Chuan Jieen Enterprise Co., Ltd. is a leader in the automotive parts and components sector in Taiwan, having been a supplier to major OE markets and aftermarkets in the USA, Europe, Japan and China for 15 years and highly recognized for trustworthy quality. Ignition coils, wires, distributors, distributor caps etc. Founded in 1981, Zing Chang Co., Ltd. has been a major supplier of automotive aftermarket replacement ignition parts with ample know-how and experience in developing and manufacturing quality parts for global customers. 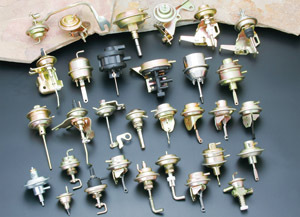 With strong in-house development capability and versatile production techniques, Zing Chang supplies a wide range of ignition coils, wires, distributors, and distributor caps, among others. Ching Mars Corp. was established in 1985 and is today an ISO-9001-certificated manufacturer of warning and multi-purpose strobe lights, mainly for automobile use. Established in 1999, Lung Ming Li Co. has developed into a world-caliber supplier of polytetrafluoroethylene (PTFE) brake hoses and related fittings marketed under its own “Dragon” and “Dragonfly” brands. 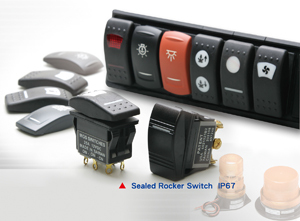 The company also enjoys a solid reputation as a top-notch OEM (original equipment manufacturer) supplier. Gasoline and diesel engine gasket sets, cylinder head gaskets, rubber parts, oil seals, valve stem seals, etc. Founded in 1969, Hsiang Lun International Corp. is a globally-reputable manufacturer specializing in the production of engine parts and components. For more than 45 years, the company has been devoted to research, development, design and production of engine sealing components. Hsiang Lun says that it has attained the capability to produce all types of sealing products for a full range of engine applications.